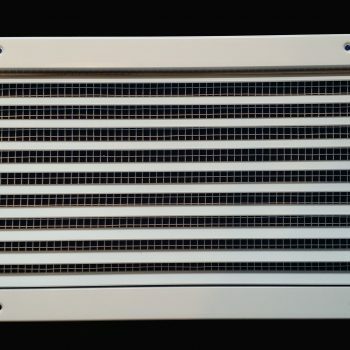 Our Standard Garage Intake Grill is constructed to ensure airflow and ensure your garage ventilation fan has plenty of air. 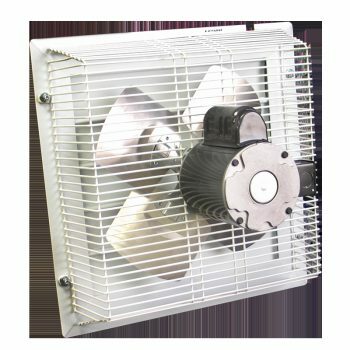 Shipped with the GF-14 Garage Fan the grills are designed to mount on the garage door. 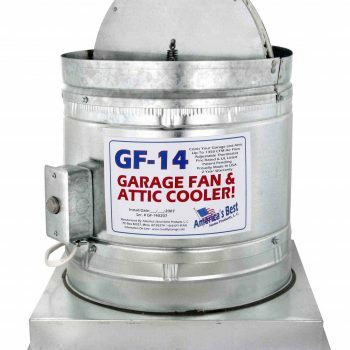 The standard air intake grill is shipped with the GF-14 Garage Fan and please be sure to check out the available options for providing intake air for the garage fan. 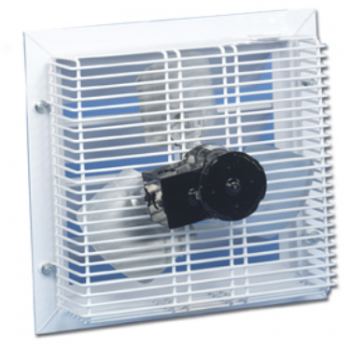 Our product is constructed to ensure proper airflow and compliment your garage ventilation. Air intake is required so the Garage Fan motor does not burn up due to over working. 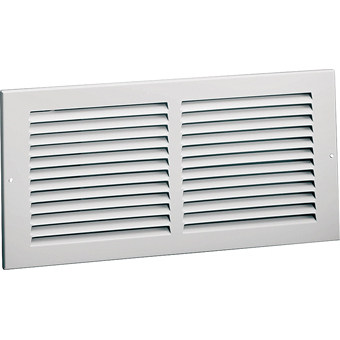 Using our fixed fin return air grill to outfit your ventilation system will improve your garage air flow circulation. GF- Series Intake Grill for the Garage Door. 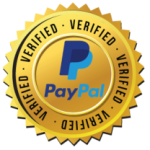 16″x8″ Fits most raised garage door panels. ***Hint: The industry standard is to order using the actual hole opening size and not the return grill face plate size. This return air grill will fit over a 14 x 6 inch hole opening.